Glass Supplies - Glass, Windows/Doors/Conservatories based in Tunbridge Wells, Kent. 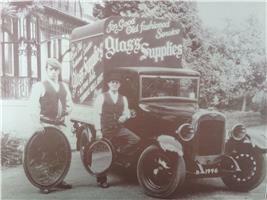 GLASS SUPPLIES IS A FAMILY BUSINESS, ESTABLISHED IN 1970. Quality, Reliability & Affordable. The trusted glass merchants and glaziers of Tunbridge Wells, established in 1970 by Cyril Knapp. Glass Supplies continues to flourish under the careful management of Cyril's son, David Knapp and new business partner Grant Laker. Although there have been many changes and developments in the glass industry, the values and ethos of Glass Supplies remain the same, we have a great team dedicated to provide quality glass and products with excellent customer service at competitive prices.